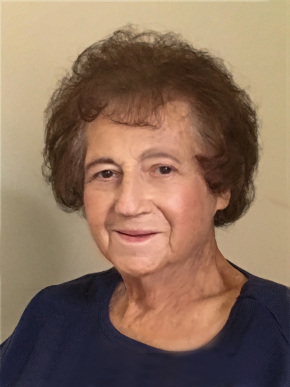 Eleanor Bessler, 85, beloved mother, grandmother and great grandmother, passed away peacefully into the arms of her Lord and Savior Jesus Christ on February 4, 2019 in Huntersville, North Carolina, surrounded by her loving family. Eleanor (Ellie) was born in Brooklyn, NY on August 25, 1933. She is the daughter of the late Anna and Charles Nichols and the devoted wife of the late John Bessler. Ellie was a resident of Warwick, NY for 38 years after residing in Staten Island, NY for 17 years. More recently, she resided in Mooresville, North Carolina. She worked with disabled children at Orange-Ulster BOCES in Goshen, NY. While working, she received her Master’s Degree in Special Education. She created and started a religious education class for children with special needs at St. Stephens Church and taught special needs children for many years about the love of God because she was concerned about these special children. She lived her life in the service of others, especially her many children, grandchildren and great grandchildren to whom she was devoted. Ellie is survived by her children: John (Lydia), Robert(Sharon), Thomas(Laura), Christopher(Leslie), Paul (Patricia), Eleanor(Steven) Fella, and Michael(Nancy); grandchildren: Robert, Christina(Richard), Danny(Melissa), Brian, Rachael, Theresa(Frankie), Matthew, Paul, Douglas, Jessica, Samantha, Saffron, Alexandra, Michael, Cameron, Natalie and Nicole; great-grandchildren: Bryant, Mason and Liam; and nephew Anthony(Margaret) Portal as well as her dog Penny. She was predeceased by her husband of 66 years, John Bessler, her sister, Eileen Portal and niece, Patricia Hayes. Visitation will be on Friday, February 8 from 2-4pm and 7-9pm at Lazear-Smith & Vander Plaat Memorial Home, 17 Oakland Avenue, Warwick, NY. A funeral service will be held on Saturday, February 9 at 10:00 a.m. at Warwick Assembly of God Church, 60 South Street, Warwick, NY with interment following the service in Warwick Cemetery. At the time of funeral service we commemorate and reflect on the life of Eleanor Bessler. In the days, weeks and months ahead it will be a comfort to family of Eleanor Bessler to continue to remember a life well lived. Please select a date on the Calendar of Care to be reminded via email to reach out and continue the caring for family of Eleanor.